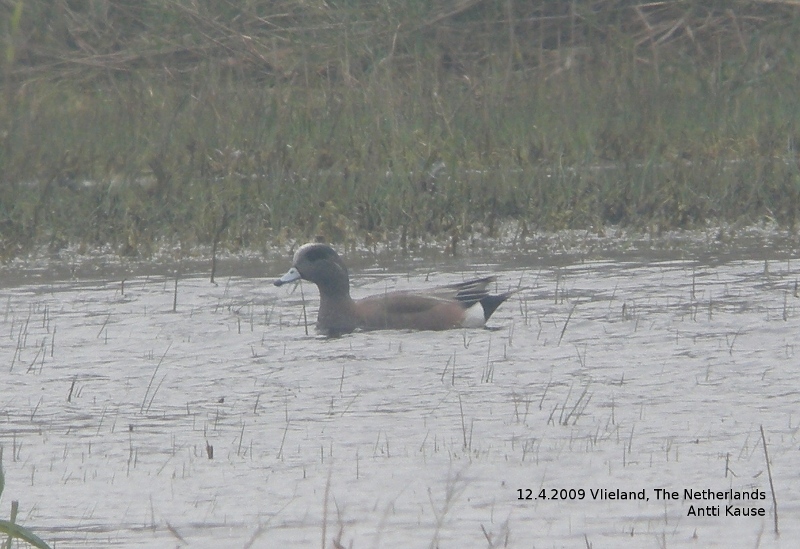 12 April, Kroonspolders, Vlieland, Friesland, first-summer male, photographed (A Kause, C Zuhorn), and 15-17 April, Dijkgatsweide, Wieringermeer, Noord-Holland, first-summer male, photographed (O Zijlstra et al), and 19-25 and 27 April and 29 April to 1 May, Robbenjager, Texel, Noord-Holland, first-summer male, This is the most frequent vagrant dabbling duck species. The series of sightings in the north-western part of the country (Vlieland, Wieringermeer, Texel and Den Helder) are assumed to concern the same first-summer male (commuting almost 30 km between Texel and Mariëndal on 27 April), making a total of at least three for 2009. The 1986 record concerns a date extension; it was previously accepted for 30 April and 1 May (van den Berg & Bosman 2001). Annual Report 2009.